Remember what I said about the San Diego Comic-Con the other day? 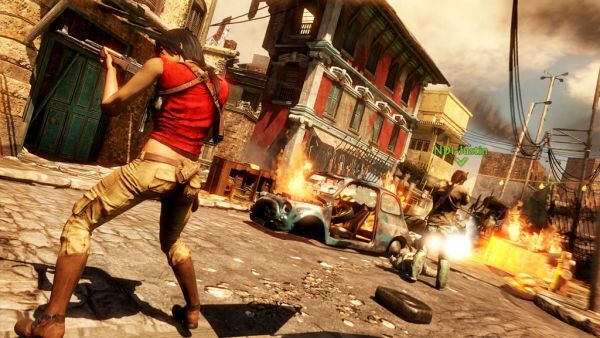 Well, it's proving to be a goldmine of Co-Op news, as the new "Gold Rush" co-op mode in Uncharted 2 has had its veil lifted. Essentially, it plays like a mashup of the multiplayer beta's co-op mode and capture the flag. You and your buddies have to snag a piece of treasure and bring it to a capture point on the map while taking out waves of AI enemies. You can pass the treasure to other players, and you'll have to team up to get the treasure over obstacles. The PlayStation Blog posted the first video footage, which you can view by hitting the " read more" link. Page created in 0.2845 seconds.